A new book review for Foreign Policy’s AfPak Channel, looking at quite a fun book I read a little while ago about a piece of history with all links to today. Also quite timely given the recent troubles in Kashmir to highlight how long this problem has been hanging over things. In an interesting and in some ways related case (for reasons that I will go into in a separate piece), I have been doing a bit of press around the recently concluded large terror trial at Woolwich Crown Court against a group of British Muslims who connected with al Qaeda were planning an incident in the UK. I was quoted in the Associated Press, Press Association, CNN, Channel 4, and on BBC Newsnight (which is only available for the next six days to those in the UK). Longer piece on that case coming soon. Conflict in Kashmir has been back in the news recently. In January, a series of attacks and counter-attacks by Indian and Pakistani soldiers were reportedly sparked by a grandmother who crossed the Line of Control to be near her children and their families, resulting in the deaths of soldiers on both sides. What is striking about recent events and seems to be a particular throw back to earlier times, is the apparent brutality with which two Indian soldiers involved were killed. One was reportedly beheaded, whilst another ‘mutilated.’ This particular detail seems to belong to an earlier time highlighted in Adrian Levy’s and Cathy Scott-Clark’s book about the kidnapping of a group of western tourists in July 1995 in Kashmir, when the full insurgency was underway between Pakistan and India over the disputed province. The portrait that Levy and Scott-Clark paint of the 1990s insurgency in Kashmir is a brutal one: locals living in fear as groups and alliances shift around them. No one is certain who is on whose side, as idealistic Kashmiri freedom fighters are manipulated by Pakistani ISI agents and their families are punished by Indian authorities. Local warlords change sides regularly, turning on each other with ready brutality at the right price. Police and intelligence agents on the same side end up working against each other, each with a different goal in mind. And caught up in the middle of this is a group of foreign hikers, drawn by the beauty of the countryside and kept in the dark about potential danger by inept local authorities eager for the much-needed tourist revenue. The Meadow is written in the style of a thriller, with an investigative journalist’s eye for detail. It uncovers new information, offering definitive conclusions about what happened to the unfortunate foreigners entangled in the kidnapping. It has attracted less attention than previous books the authors have written about the region – their earlier book Deception, about the Pakistani nuclear program, has been widely praised – but nonetheless comes to some dramatic conclusions about what happened to the group of tourists. At the heart of this narrative are six western (American, British, German and Norwegian) nationals. Snatched by a group of Kashmiri warriors supported by Pakistan, the intention was for the men to be traded for a group of supporters of the Kashmiri jihad, including Maulana Masood Azhar, an increasingly important preacher who had managed to get himself caught by Indian authorities some weeks before. This was in the days prior to Azhar’s later fame as the founder and head of Jaish-e-Mohammed. Led by a Kashmiri called Sikander who fought in Afghanistan during the 1980s, the team was a mix of raw recruits and experienced fighters. Sikander had participated in an operation involving foreigners before, abducting two British citizens, Kim Housego and David Mackie, in June 1994 in an operation that ended in failure. Under intense international pressure, Sikander’s cell had given the hostages up to Kashmiri journalists. The second time around they hoped to avoid this pressure by creating a shell group, al Faran, which people would be unable to link so easily to the group’s well-known organizers, the Pakistani-supported, Kashmiri-oriented Harakat ul Ansar (HuA). According to the book, the new group name was chosen ‘randomly…. by someone in Islamabad that had vague Islamic connotations, being a mountain in Saudi Arabia’ (p.95). The kidnappers were initially planning on snatching foreign workers at infrastructure projects, but as they got sidetracked in other operations time pushed on and they decided instead to go after a group of foreign tourists. By the time they were able to get moving on the plot it was June 1995 and it was only by July 1995 that they made it into the eponymous ‘Meadow’ above and around Pahalgam in the Anantnag district of Kashmir. Here, they wandered around the various campsites, capturing two British (Paul Wells and Keith Mangan) and two American (John Childs and Don Hutchings) trekkers they found, sending the women they were travelling with back down the mountain with a note demanding the release of Masood Azhar and other leaders. When one of the Americans, John Childs, managed to escape, the group panicked and snatched another two foreigners they found, this time a Norwegian (Hans Christian Ostrø) and a German (Dirk Hastert). Sikander’s father recalls his son telling him ‘human cargo’ was not ‘like transporting bullets of rice’ requiring all sorts of attention and care (p.93). At this point, the story becomes murkier. Intrepid journalists, Levy and Scott-Clark rounded up as many different contacts as they could, but patching together what happened to the hostages while they were in captivity is something that is always going to be shrouded in mystery and reserved primarily to the hostages and their captors, none of whom are able to talk now. Using interviews with locals, family members, subsequent intelligence reports, and gathering the pieces of information that the hostages managed to leave secreted with locals as they were transported around the region, the authors piece a compelling narrative together. They uncover how particularly vivacious and infuriating a captive Hans Christian Ostrø was, apparently trying repeatedly to escape whilst charming locals with his enthusiasm. Eventually, a brutal faction within the cell tires of him and leaves his beheaded body to be found with the words ‘al Faran’ engraved on his chest. The others were never found; their family members remain uncertain of their end to this day. For the women who had been trekking with the men before they were snatched, the nightmare was made all the worse by the seemingly limited and incompetent assistance they report receiving from Indian authorities. Having come down the mountain to disbelieving and slow-moving authorities, they then find themselves sidelined as geopolitics overtake the incident. It is here that Levy and Scott-Clark are able to bring the most new information to light, digging into the grim world of the Kashmiri insurgency to offer a novel conclusion of what happened to the hapless trekkers. After Childs escaped, he lobbied for U.S. Special Forces to go back and rescue the others. But he was ignored, as Indian authorities refused to let foreign boots on the ground or accept much international assistance, eager to keep foreign eyes from the awkward domestic insurgency. And so, the captives were left in an isolated area where, as the authors paint it, India had full control. Even though authorities were in contact with the group, and according to the negotiators had managed to obtain a fixed amount of $250,000 to secure the foreigners release, no exchange actually took place. As the book portrays it, elements within India preferred a grim conclusion to highlight Pakistani perfidy. So once the demand had been made through a private communication between a local officer and the group – who allegedly told the officer ‘the movement [those who had sent him to carry out the kidnapping] can go to hell’ (p.325) – someone promptly leaked it, rendering it void as the move had not been approved al Faran’s superiors. Instead, the men are sold to a local warlord fighting for the Indians, who then has them executed and disposed of. Indian authorities (or elements within the Indian power structures) are implied to have had full knowledge of everything that was going on, and to have actively pushed events in this direction, a searing indictment that has attracted ire within India. The Meadow connects this incident to the larger events of September 11, highlighting the proximity of elements linked to al-Qaeda and the subsequent group that Masood Azhar founded when he was eventually released in exchange for a planeload of Indians held hostage while en route to Nepal. That group, Jaish-e-Mohammed, has been responsible for a number of major atrocities, including the first use of suicide bombers in Kashmir: on Christmas Day 2000, Asif Sadiq, a 24 year old Birmingham student blew himself up at a checkpoint in Srinagar. A year later, as the world was still rocking from the September 11 attacks, a JeM team joined by fighters from Lashkar-e-Toiba (LeT) launched an attack on India’s parliament that almost brought the sub-continent to nuclear conflict. Levy and Scott-Clark push this web of shadowy links even further, pointing out a connection between Masood Azhar and Rashid Rauf, the British al Qaeda leader who would go on to act as the overseer of the July 7 and July 21 plots against London, before helping mastermind the aborted August 2006 plot to bring down some eight airplanes on transatlantic routes. In their book, Rauf is a bit part, with Azhar meeting Rauf’s father on a trip to Birmingham and being introduced to young Rashid as ‘his rootless teenage son…whom he said was in need of a mentor’ (p.296). But the connection nonetheless cements Azhar’s importance in helping provide links for a man who went on to be one of al Qaeda’s most dynamic foreign leaders. A hefty book at almost 500 pages, the text sometimes gets lost in its own detail and in the numerous, long and detailed interviews the authors conducted. But drawing on a wealth of primary interviews, it tells a compelling narrative about a specific incident, while also painting a picture of a brutal conflict that, as we saw recently, has all the kindling in place to light up again. 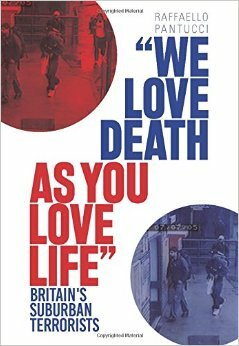 Raffaello Pantucci is a Senior Research Fellow at the Royal United Services Institute (RUSI) and the author of the forthcoming ‘We Love Death As You Love Life; Britain’s Suburban Mujahedeen’ (Hurst/Columbia University Press).